Compare the best deals online! The first step to saving money on your utility bills is to switch supplier, this is to ensure you are on the most suitable tariff for the needs of your business. However, to source the best deal you will need to do your homework, in order to fully understand the energy market – a market which can be extremely volatile. What’s more, every business has different energy needs, depending on factors such as their size and industry. In many cases suppliers will provide bespoke rates based on the specific energy needs of the business. Unfortunately it is often the case that business owners are busy and simply cannot dedicate the time to search the entire market to source the best gas tariff. This is where seeking the advice and help of a utility specialist can be beneficial, as in many cases simply finding the ‘cheapest’ deal isn’t always the most suitable. 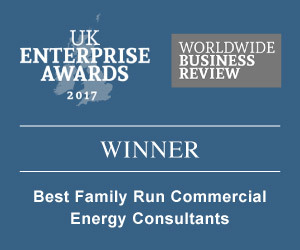 Regardless of your business type or size, a member of our team can offer you independent energy advice and compare business gas prices and tariffs from across the entire energy market, to find you the most competitive rates and best possible tariff for your business. people are currently looking for great utility deals on this page! people have submitted a utility quote today! Send us your details below and request a callback. This is the second time I have used Watt Utilities and Mo Jameel was extremely helpful and did all the work for us finding the best prices and doing all the relevant paper work. It certainly is worth changing supplier when you have help like this. We renewed our electricity contract for the second time and Jacob Seraj made it very easy. He presented us with the best options and talked us through them. Would certainly recommend them to business associates. Very good service in assisting us to find the best tariff for our church electricity supply; including dealing with what appeared to be gross incompetence on the part of one potential new supplier. Chloe communicated very well and was most reassuring. Her colleague Michael was also helpful at the start of the process before she took over. Well done Watt Utilities. I own a small coffee shop in Sheffield and my utility contract was up for renewal, as such i was subjected to the annoying cold callers claiming to be from my own service providers, exclaiming how shocked they were at me being overcharged for my electricity blah blah blah. I received a call from Mo at Watt Uitilities and by this point I was very annoyed with all the calls and mistrusting of anyone. Mo was very patient with me throughout all our coversations, he wasnt pushy at all and no matter how grumpy i could be with him he reamained professional and patient with me at all times. Mo strove to find me the best price plan and I have to reiterate that throughout all our conversations he remained professional, polite was not pushy and most importantly helped reduce my energy bills. He really is a credit to his company. I would have no qualms in recommending Mo's services to anyone. Thanks again for your assistance. Electricity contract up for renewal. Contacted Watt Utilities and dealt with Jacob Seraj who compared providers and recommended switch with significant savings. Found the service to be both effective and efficient, Jacob explaining the process clearly. And both pleasant and professional to deal with. I highly recommend Jacob Seraj at Watt Utilities; he always deals with issues promptly and without fuss. He talks in a plain English, no rubbish, and doesn’t suffer from speech diarrhoea and confuse issues.